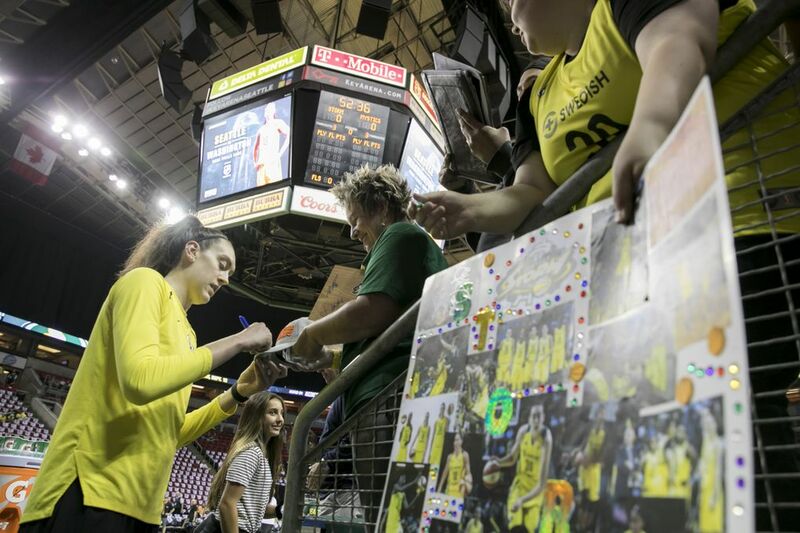 Is WNBA Finals MVP next in Storm star Breanna Stewart’s treasure trove of trophies? 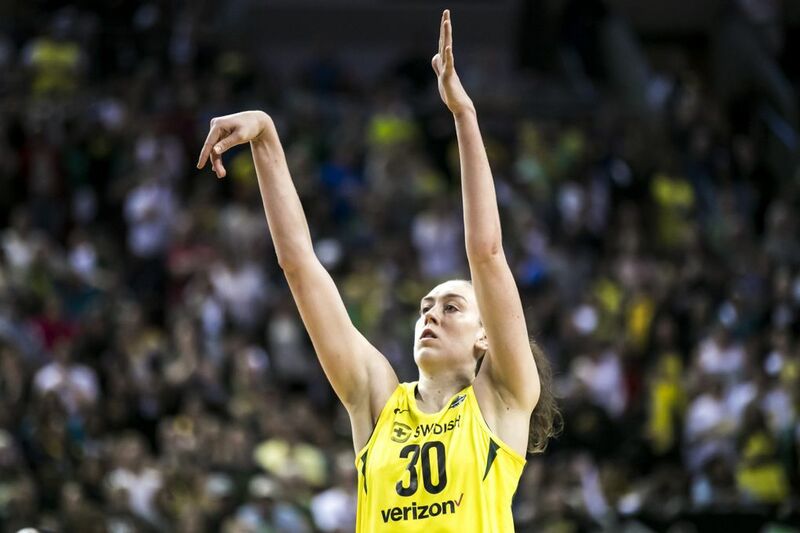 Breanna Stewart has been unquestionably the best player in the WNBA Finals, but she needs one more win to capture her first league championship. 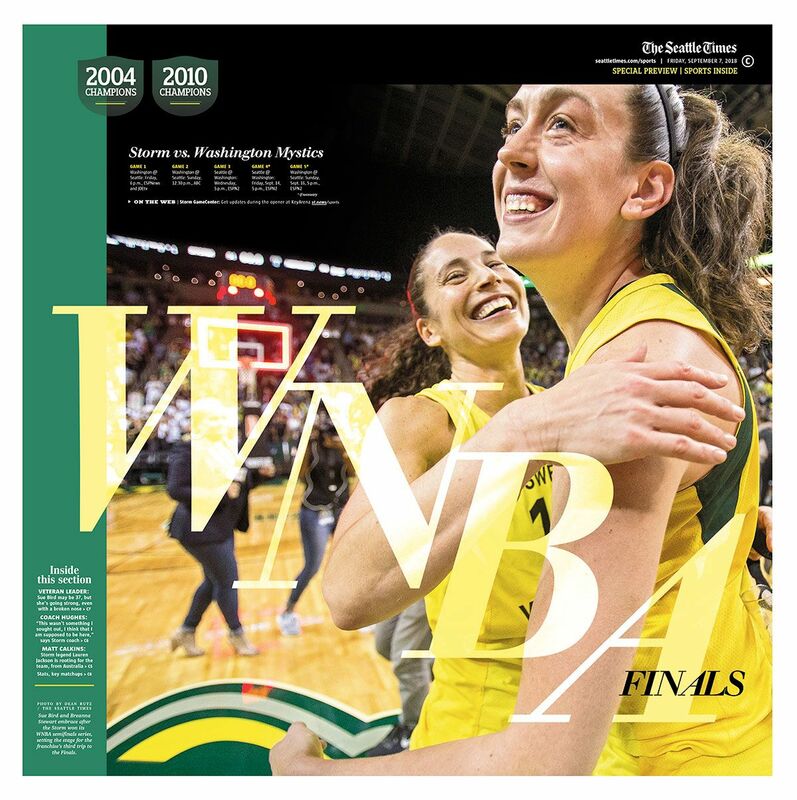 After missing two free throws in the final seconds of a 75-73 victory Sunday, Breanna Stewart thanked teammates — particularly Sue Bird — for bailing her out in Game 2 of the WNBA Finals with a clutch defensive stop. But in reality, they should be thanking the Storm superstar for carrying Seattle to a 2-0 lead over the Washington Mystics in the best-of-five WNBA Finals. The league MVP has been sensational in the playoffs and her latest outing was more of the same. Aside from clanking the foul shots with 16.9 seconds left in what was a one-point game at the time, Stewart produced when it mattered the most and scored nine of her game-high 25 points in the fourth quarter. The 6-foot-4 forward played all 10 minutes in the fourth and connected on 2 of 2 shots from the field and 4 of 6 at the line, adding two rebounds and two steals. The fantastic finish mirrored a scintillating start for Stewart, who scored 11 points in the first quarter to lift Seattle to a 25-16 lead. A great night would have been a virtually flawless performance if not for the missed freebies. “I’m not sure what happened,” Stewart said during a postgame interview. “But Sue told me in the timeout it’s the next play and we need a defensive stop and we won the game. So thank you, Sue. It’s difficult to imagine Stewart playing much better. In seven postseason games, the third-year player is averaging 23.9 points, 6.7 rebounds, 2.4 assists, 1.1 steals and 1.0 blocks in 36.9 minutes. She is shooting 46.1 percent from the floor, 35.5 percent on three-pointers and 82.6 percent at the free-throw line. Because Stewart is so unselfish — she averages 13.5 attempts — coach Dan Hughes would like to get her a few more opportunities on the offensive end. “To start the game (Sunday), we got second touches for Stewie in situations … and they were paint touches,” Hughes said. “Those are huge. Those are huge because not only is she going to score, she’s going to distribute well. 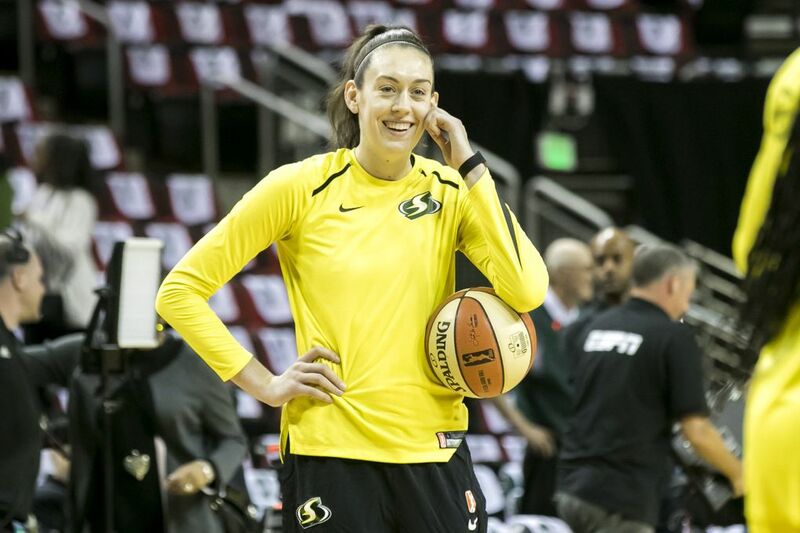 Stewart’s 47 points and 12 rebounds in the first two games of the Finals is similar to the 52 and 15 former Storm star Lauren Jackson had against the Atlanta Dream in the 2010 WNBA Finals that ended in a Seattle sweep. “I do think she’s sort of the key,” Jackson, the 2010 Finals MVP, told The Seattle Times last week when asked about Stewart. Before the playoffs, Jackson reached out and connected with Stewart online to give encouragement and advice. The conversation has been a source of motivation for Stewart. And then Stewart, who has scored at least 22 points in six of seven playoff games, went out and delivered another superb outing. “Anyone can get lucky, right? Like anyone can have a great game, á la myself Game 5,” Bird said referencing her semifinals clincher when she scored 22 points. “Anybody can have one night. But for somebody who consistently has presence and consistently wants the ball and consistently is winning your team basketball games, that’s an MVP and Stewie obviously showed that (Sunday). 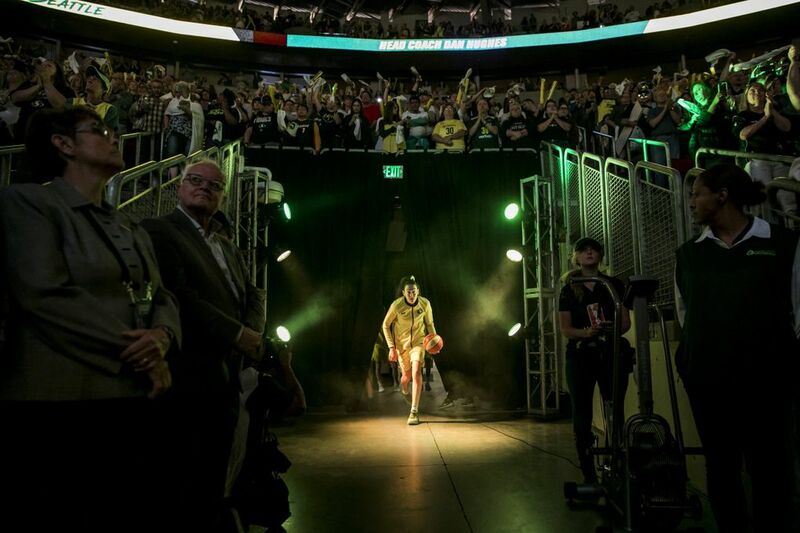 At 24, Stewart has accomplished nearly everything thing possible in women’s basketball. She’s captured four NCAA tournament titles, four Most Outstanding Player of the Final Four awards and every major college honor. In 2016, she claimed the league’s Rookie of the Year Award and won an Olympic gold medal with the Team USA. And she’s appeared in two WNBA All-Star Games. With one more victory, Stewart will win her first WNBA title and most likely add the Finals MVP award to a treasure trove of trophies.